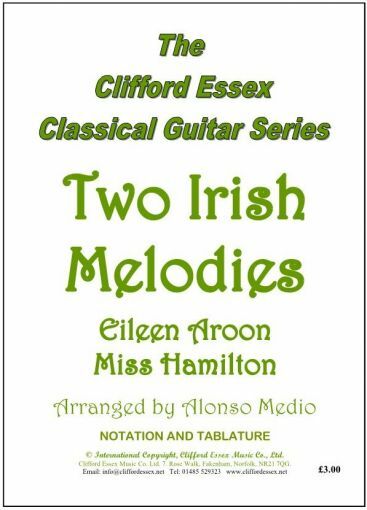 Location: /Sheet music/Guitar Series/TWO IRISH MELODIES. 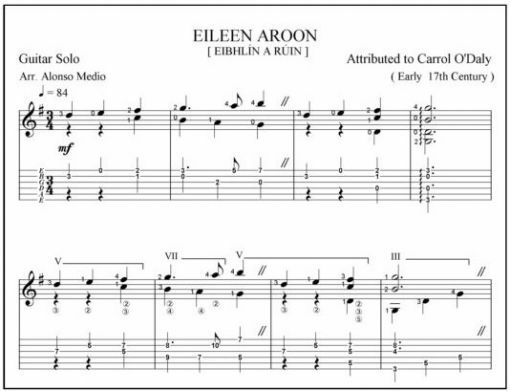 This well-known melody is attributed to the Irish harper Carrol O’Daly who lived in the early 17th century. It was popularized in Scotland some hundred years later by the famous blind Irish harper Denis Hempson, and new words were written for it there where, with a slightly altered tune, it became known as ‘Robin Adair’. Because the piece is fairly simple in construction the inside strings of the guitar are frequently employed to vary the tone between the phrases. These need to be played in a rubato style, so a pair of diagonal lines mark the places where a short pause could be made. Cornelius Lyons was harper to Lord Antrim at the beginning of the 18th century and, although a very fine player, composed comparatively few tunes himself. 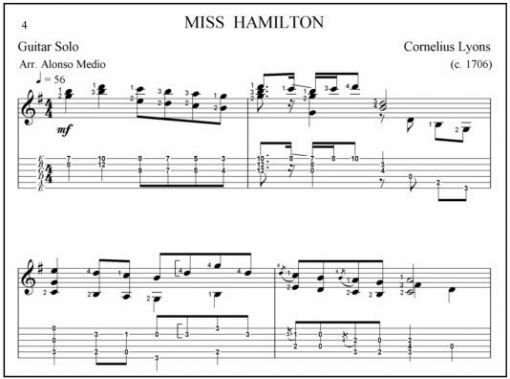 This one, however, dedicated to Miss Hamilton, is a beautiful melody and, although nothing is known now of the young lady, we are fortunate that this tune was written down for us to be able to play two hundred years later. It makes a fairly easy and very satisfying guitar solo.